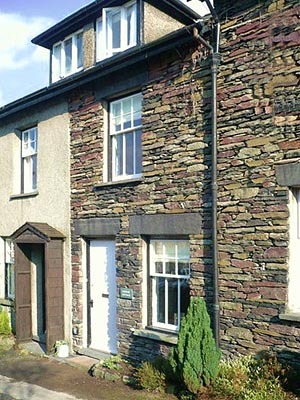 Bonnie Cottage is a traditionally built Lakeland stone cottage situated in a quiet residential area of Ambleside, just a stone’s throw from the bustling village centre. 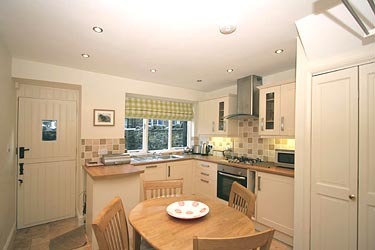 The cottage has been extensively refurbished with contemporary furnishings, a modern kitchen and the convenience of two bathrooms. 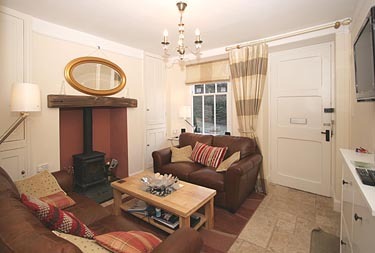 Full central heating is available, also a wood burning stove in the cosy lounge. The outside courtyard catches the morning sun and provides safe storage for bikes. Parking is by permit (provided) in the quiet street. 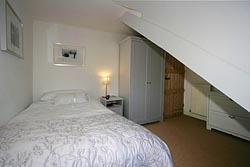 There are views to the surrounding fells from the bedrooms. The lounge is furnished with leather sofas providing comfortable seating for five. There is a mini-HiFi hidden away and a flat screen TV/DVD with freeview mounted on the wall. The flooring is Travertine stone with a rug between the sofas. The kitchen is fully equipped and has built in dishwasher, fridge with freezer compartment, microwave, gas oven with gas hob and extractor over and every little convenience you would expect at home. There is an understairs cupboard with washer/dryer, ironing board etc. The dining table extends to seat six. A split stable door leads to the courtyard with table and chairs. 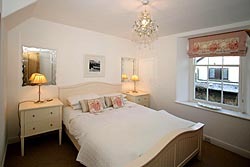 The main bedroom has a king sized bed, large bedside tables with drawers and a large double wardrobe. From the window, you can see Loughrigg Fell and Nab Scar. 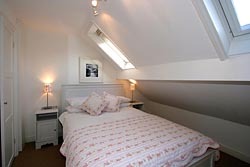 The second bedroom is on the top floor at the rear, it has a double bed with bedside tables, a dressing table with drawers and a built in wardrobe. Bedroom three is on the top floor at the front with a single bed, a chest of drawers and a large wardrobe.The main bathroom has a deep bath with shower attachment, hand basin and wc. The separate shower roomhas a large, fully enclosed shower and wc.